You are not alone. This is an issue that comes up for many landlords, especially if an applicant seems nice and there is no particular reason to think they are going to be bad tenants. It is important to have a solid tenant screening policy, for a number of reasons. First, you want to avoid the same situation – an eviction, at all costs. It is also important to treat all applicants the same to avoid any accusations of discrimination. There are a number of crucial things to know about a rental application. For instance, if you are going to try to collect for damages or unpaid rent from the tenant that you evicted, much of the information you will need to collect tenant debt will come from the rental application – SSN, date of birth, previous residences and personal contacts, including emergency contacts who are typically family members, banking information and employer, to name a few. Also, the rental application is typically the place where you ask the applicant for permission to run a tenant background check. You must have them sign this authorization to obtain tenant screening reports. Step Two: Which Tenant Screening Reports Do I Need? You will want to run a tenant credit report to determine if your next tenant is a safer bet than the last one. 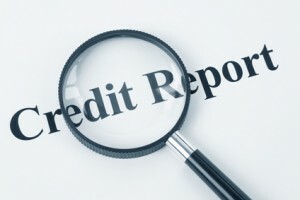 There are two options for credit report formats. One will give you a rating based on risk, and the other will be a full-scale listing of all credit entries. We explain the difference in our blog post, How to Get the Most From Your Tenant Credit Report. Credit is not the only criteria for evaluating an applicant, however. Many landlords refuse to rent to a tenant who has an eviction history. This is a tenant who has burned another landlord, and may do it again. By obtaining an eviction report, you can determine the applicant’s rental history, and also find out if they are being dishonest with you. For instance, maybe they never reported the address they were evicted from on their rental application. Criminal background checks are also indispensable in preventing problem tenancies. Landlords often owe a duty to other tenants, guests or neighbors to screen new tenants for violent criminal behavior. You should never accept an applicant who has not or cannot provide good references. These contacts should include the present or previous landlords. It is also imperative to have valid, accurate emergency contact information. Be sure to verify that the reference is in fact who they are supposed to be. If an applicant knows they are going to get a bad reference, say from a previous landlord, they will ask a friend to pretend to be the landlord and offer a glowing recommendation. Some landlords use a reverse telephone or address directory to verify the reference name, ask the person to call back on a phone that has caller ID, or ask pointed questions that only the landlord would know, like “How many units are in the building?”, or make up a story about the tenant and see if they verify that, too. Next post: Do I Have to Rent to Students?